Cleared PMP on 29th August on first attempt. Thanks to everyone in this forum, especially to people who contributed their lesson learned as it helped me to develop my preparation strategy and maintain focus throughout my preparation of around 2 months. Andy Crowe: I started my preparation with this book as it was recommended by the REP from where I earned 35 hrs of training. I feel this book is by far the best book to start the PMP preparation as it’s written in a very simple and systematic manner without jumping topics. More or less it’s a summary of PMBOK. I read the book twice before starting anything else. Rita: Started with Rita but initially was struggling to finish the chapters as there is so much of text per page but started liking it once I got accustomed to motherly way book explains the topics. I feel Rita develops the way PMI wants us to think thus developing thought process to answer the PMP situation based questions. After going through first pass of Rita I stared writing tests but with test results I thought it will be good idea to read Rita again. This time I started doing topics from Rita and PMBOK simultaneously but as just 12 days were left in the exam so did Rita alone along with first two chapters of PMBOK. PMBOK: After reading both Rita and Andy I was not left with much time to read PMBOK but as I learned from the forums that it’s really important to go through PMBOK so was worried a bit. Luckily I wrote 2-3 full length exams which gave the explanation with reference to PMBOK so I covered as many gaps as possible. Apart from that I read the PMBOK Glossary and then searched for index for terms which I was not familiar with. I got few terms like Cost-Contacts, FMEA etc. I now feel I could have done better if I had read PMBOK line by line. InSite-Velociteach: Used one week free trial subscription which comes with Andy Crow book. Started doing the tests once I finished reading Andy which was around 30 days before the exam. Questions are easier than real exam so I used the tests to just practice and not to gauge my preparation. Use to get around 80% in 50 question tests. Also tried 200 question final paper based exam at the end of Andy Crowe book and scored 83%. ExamCentral (www.examcentral.net): Good source of free questions but again questions are easier than the real exam. I attempted around 300 questions in total. Scored around 78% to 85%. PMFastTrack: Gave just one full length 200 question test and secured around 78% but there were known questions also as I attempted the exam after reading Rita 6th edition and doing exercises at the end of each chapter. I always kept track on the question creep in the mock exams and calibrated the percentage accordingly. Beware that repeated questions can be a reason of continuous improvement in the mock exams if you are using same software again and again to give the exams. Further attempted questions on random basis. HeadFirst(http://www.headfirstlabs.com/PMP/free_exam/) :Good exam but again a bit easier than real exam. Scored 86%. Oliver Lehmann 175 questions (http://www.oliverlehmann.com) : Very high standard exam and it really helped me to find gaps which were due to not reading PMBOK. Attempted the test 7 days before the real exam and scored 77%. I suggest ,taking this exam once you are fully prepared as low marks may dampen your morale. Free Effectivepmc Exam (www.effectivepmc.com) : This is the toughest exam which I took. Scored 62%.Questions were wordy and took be exactly 4 hrs to complete the test. Only good thing was explanation of the answer were referenced to PMBOK so it helped me to further find the gaps in my knowledge. PMzilla tough 200 questions (http://pmzilla.com/pmzilla-final-pmp-exam-pmp): Good collection of questions. Key to success in PMP, I feel, is practicing lot of quality questions but not just from single source. http://www.deepfriedbrainpmp.com: Very simplified explanation of EVM, PTA formulas. http://www.monkibo.com/pmp-exam-itto-trainer: Used the tool to memorize IOTT. http://www.mypmpexamprep.com/article/pmp-exam-input-outputs-tools-and-techniques : I used similar PFD to read every day for half an hour before sleeping for last 20 days before the exams in a hope to memorize IOTT but in vain. I feel PMP exam definitely do not test memorizing skills but do ask the input/output/tool of the processes indirectly in questions. I did not by-heart or rather was not able to by-heart the IOTT but was able to answer the questions with given choices. I was comfortable in the exam even though just slept 3 hrs on the night before the exam. Took a break after 100 questions (1.5hrs) and again after finishing 200 questions (3 hrs) .Marked all the numerical questions to come back to do the re-calculation and few more in which I had doubt. All together marked around 30 questions and reviewed in next 20 minutes (3.5 hrs). Changed 2-3 question options. Now with half an hr left was thinking to review all 200 again but decided to submit the exam as I felt I will not change the options as I had selected the answers confidently. Did the survey in jiffy and then came Congratulations…..2 months dedicated efforts paid off. Special thanks to my wife for supporting me throughout my exam preparation. Very best of luck for your exam!!!! 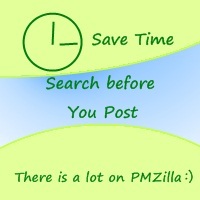 Great post, congrats on your PMP and also glad to know that you found 200 PMZIlla questions very valuable.